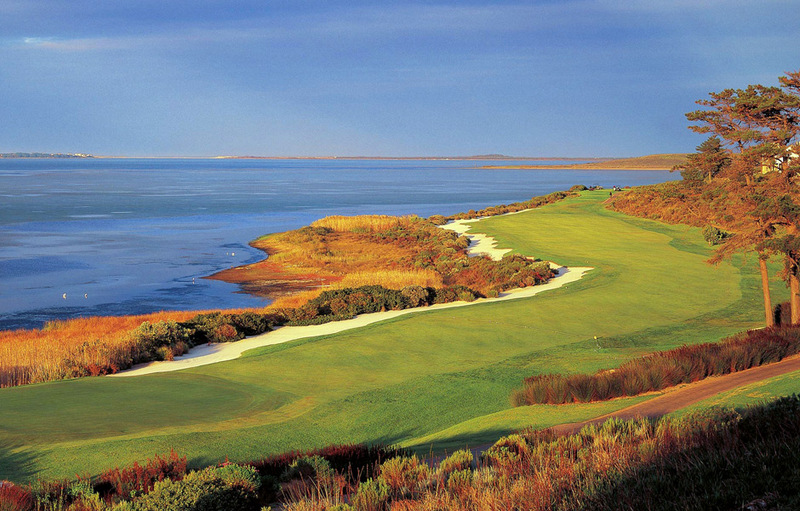 Consistently ranked in the top five courses in South Africa, Arabella links/parkland course was featured in Golf Digest’s USA’s Top 60 courses outside of America in 2007. 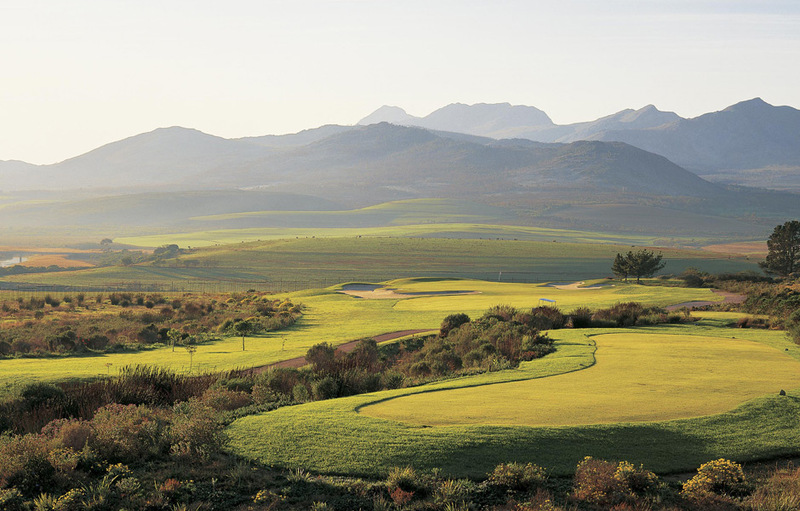 Arabella is simply the ultimate destination for those with a true passion for golf to experience one of South Africa’s most spectacular Par 5’s and end their round on one of the finest finishing holes in the country. 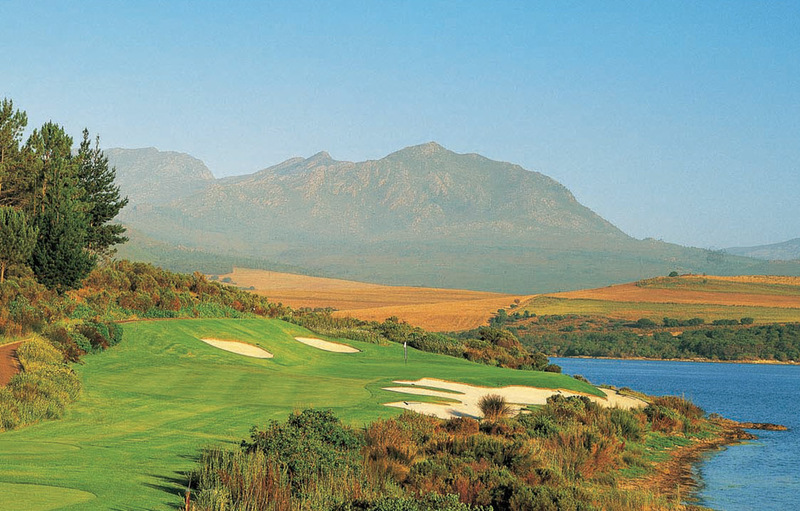 Just an hour’s drive from Cape Town and nestled in the heart of the majestic Kogelberg Mountains lies the breathtaking Arabella Golf and Country Estate. 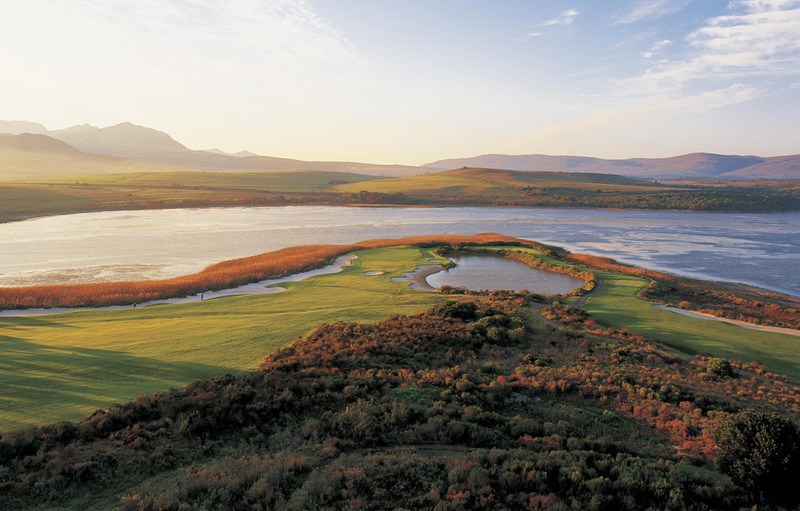 Lapping the shores of the Botrivier Lagoon, this estate is home to a variety of spectacular fauna and flora including 147 bird species and the odd wild antelope. During breeding season, the bay plays host to one of the largest whale migrations in the world. Situated within the secure estate, the Arabella Hotel & Spa’s grandeur design pays homage to the rare beauty surrounding it and is only surpassed by attentive and gracious staff who ensure a truly memorable visit to this exquisite corner of South Africa. Arabella Hotel & Spa are winners of Africa’s Leading Luxury Hotel, Africa’s Leading Spa Resort South Africa, and Africa’s Leading Spa Resort. 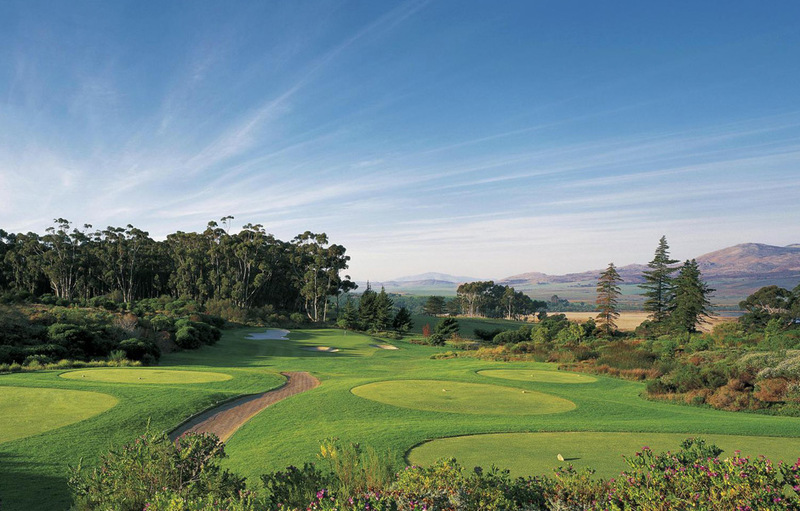 Arabella’s Par 72 Championship Golf Course was designed in 1999 by the acclaimed South African golf course architect Peter Matkovich and is currently ranked 5th on the Golf Digest Top 100 (2012). 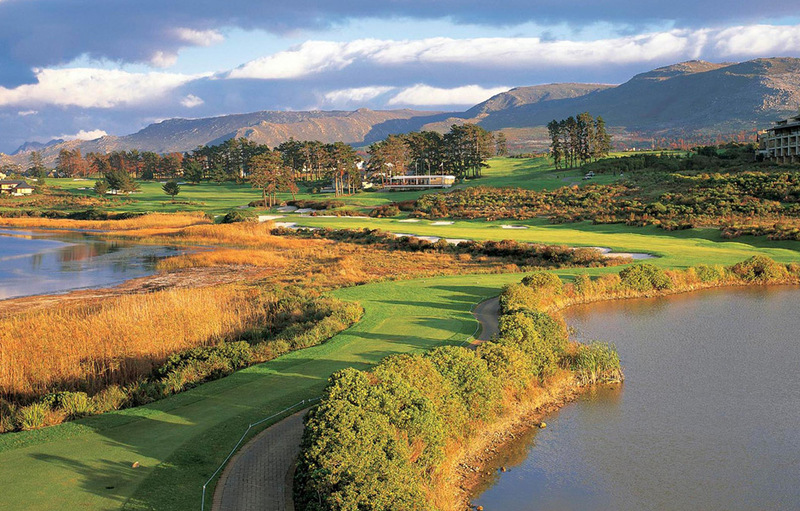 Arabella Golf Club was awarded the Compleat Golfer Five-Star Golf Experience for the first time in 2002 and has been the home to the Nelson Mandela Invitational charity golf tournament since 2003, playing host to the likes of; Jack Nicklaus, Samuel L Jackson, Ronan Keating, Ernie Els, Retief Goosen, Tim Clark, Lee Westwood and Sam Torrance.